It’s taken a long time to get here, but the MAFVA Shop is now OPEN. There are still a few problems and so at present we can only accept orders from MAFVA members in the UK. For any overseas members, we hope to get this fixed as soon as we can. We are starting with a few accessories, and two resin kits. 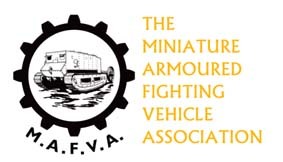 The Miniature AFV Association is a not-for-profit organisation, and so all items being sold here will be at cost price, so that we cover our costs of production, packaging and postage and nothing more. Prices may be adjusted from time to time to reflect this. All the items in the Shop are offered as an exclusive benefit to MAFVA members. The prices shown for all items include the cost for packing and for first class post via Royal Mail for deliveries in the UK only for a single item or single pack. If any overseas members would like to purchase any of these items, please e-mail me at the address below with a list of what you want, and your address. I’ll calculate a price for your order and can send you a request for payment from PayPal. IMPORTANT: The MAFVA SHOP is exclusively for MAFVA members. You will not be able to complete a purchase unless you are a paid-up member of MAFVA. View basket “1mm Hexagonal Bolt Heads” has been added to your basket.